Map: ‘Part of Cilicia Tracheia’. Theodore Bent’s own map of their routes in the area of Olba. 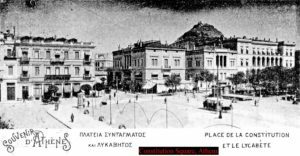 Constitution Square, in the era of the Bents, and their base in Athens. Their hotel was located here. It is early 1890; we will reach Olba later. But for the moment Mabel and Theodore Bent are in Athens, having arrived on 25th January from Patras – their ship the NGI ‘Rubattino’ from Ancona. They meet their dragoman, the long-suffering Anafiote, Matthew Simos, and, before finalising their plans for the season’s explorations, settle comfortably into the Hôtel des Étrangers in Constitution Square, the very heart of bustling, late-19th century Greece. 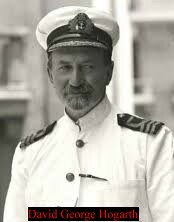 Theodore had been ten years an ‘archaeologist’ and was at last something of a name (and something of a thorn in his peers’ sides too, as we shall see). By 1889, the archaeologist had ‘excavated’ in the Cyclades, Dodecanese, Thasos, down along the Turkish littoral, and way East, to the ‘mounds of ‘Ali’ in Bahrain. 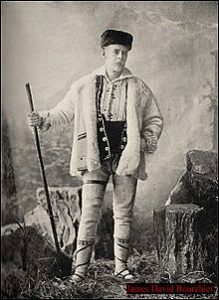 But his 1890 season found him rather aimless in Attica, with his wife, dragoman, and all his bundles of exploratory gear. Where should they go? The answer was ‘Olba’ and (luck being really everything) 1890 was to see Bent’s career soar: within 12 months he had been sponsored by Rhodes (the man, not the island – although he visited there in 1885) to dig for him at ‘Great Zimbabwe’ and this truly made him a celebrity (again, with notoriety). He was only to live seven years more, alas, but in those few years he and Mabel rode around the Yemen, Ethiopia, Sudan, and back to Yemen. 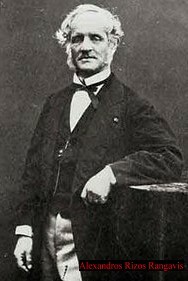 East of Aden he aggravated the malaria he first contracted on Andros in the winter of 1883/4, the finale of which was an early death, at 45. But let’s cut back to Athens in the very early spring of 1890. Alexandros Rizos Rangavis (Rakgabis)(1809–1892), Greek man of letters, poet and statesman. Their brief, hectic stay is a sequence of lunches, teas, and dinners. Around all these tables we have notable figures, so let’s add some notes: The Schliemanns require no introductions; Ernest Gardner (his wife was Mary Wilson) was director of the British School until 1895. James David Bourchier (1850–1920). Irish journalist and political activist. Other guests were the colourful James Bourchier, Balkan correspondent of the ‘Times’, Irish, he would have been doubly of interest to Mabel; Panayiotis Kavvadias went on to become General Inspector of Antiquities and a founder member of the Academy of Athens; very disrespectfully (and were they flirting? The chances are he was teasing Mabel about her Greek!) ‘old Mr. Rangabe’ was Alexandros Rizos Rangavis, the man of letters, poet and statesman; Charles Waldstein (later Sir Charles), director of the American School until 1893, was an Anglo-American archaeologist with a distinguished academic record; his wife was Florence Einstein and it seems they indeed had a son and a daughter, but where Mabel gets Agamemnon and Andromache from is a mystery (Wikipedia names the boy Henry), again, was Mabel being teased? 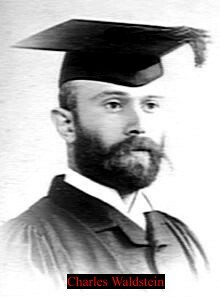 Charles Waldstein (1856–1927), director of the American School until 1893. Anyway, remember Olba? It seems that during this busy Athenian week the Bents were still without a primary research target and focus for their fieldwork. They were back in the Eastern Mediterranean for their customary three- of four-month exploratory season (the rest of the year usually spent back in the UK ‘writing up’), but opportunities now for excavating were limited – Greece and Turkey frowning upon adventurers and freelancers, such as Theodore and Mabel. Olba lay undiscovered somewhere in western Cilicia. This region, described wondrously by Strabo (14.5), lies on the southern coast of Turkey, and was divided in ancient times into two halves: to the west, Cilicia Trachea (‘rough’ or ‘rugged’), a mountainous region bounded by Mount Taurus; and to the east, Cilicia Pedias (‘flat’), with its rivers and fertile plans. Historically, the importance of Cilicia lay in its position on the great highway to the east that ran down from the Anatolian plateau, to Tarsus, and on through Syria into Asia. (This highway passed through a narrow rocky gorge called the ‘Cilician Gate’, and hence the strategic importance of Cilicia when invaded by Alexander and Darius.) The British pioneer of the region was Edwin John Davis, whose ‘Life in Asiatic Turkey’ (London 1879) remains in the bibliographies, but ten years later it was William Mitchell Ramsay (1851–1939), the Scottish archaeologist and New Testament scholar, who led the field west of Mersin. The bit very much between her teeth in Athens in the late winter of 1890, Mabel was now determined to get to Olba first; and she did of course – the trip will be detailed in a further post. Sir William Mitchell Ramsay (1851–1939). Scottish archaeologist. Ramsay (aided and abetted by a young David Hogarth – the young man referred to by Fraser in the opening quotation) were gracious in defeat (in print at least) but headed the force of establishment scholars who were to snipe at Bent from their trenches from now on. Bent, self-trained and cavalier, was driven by his own ideas and paid little if no heed to context, or seemed to have much interest in understanding the broadest evidence offered by his sites – but these were still early days for ‘archaeologists’. Hogarth is unforgiven, although he appears kind enough to Mabel in February 1898, the year after Theodore’s death: ‘I lunched at the English School with the Ho-garths… Mr. Hogarth took me to the Akropolis.’ (‘Travel Chronicles of Mabel Bent’, Vol 1: 330, Archaeo-press, 2006). But at least Theodore takes the glory in John Fraser’s towering epic! 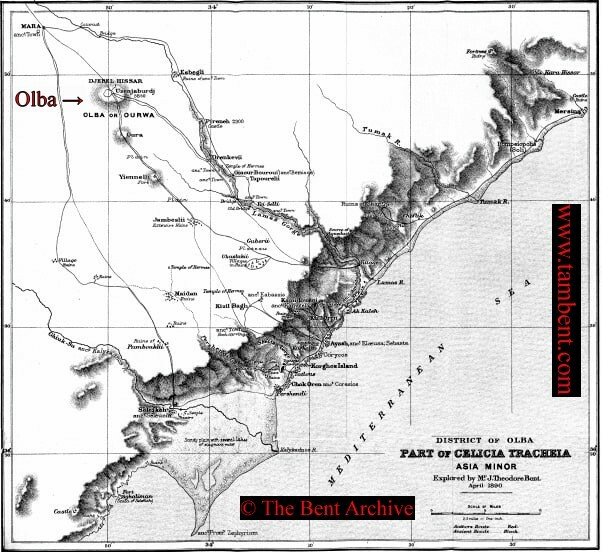 A subsequent post will take us to Cilicia and Olba, and the Bents’ very significant finds there. Captions: Map: ‘Part of Cilicia Tracheia’. Theodore Bent’s own map of their routes in the area. Originally published in ‘Proceedings of the Royal Geographical Society’, New Series, Vol. 12, No. 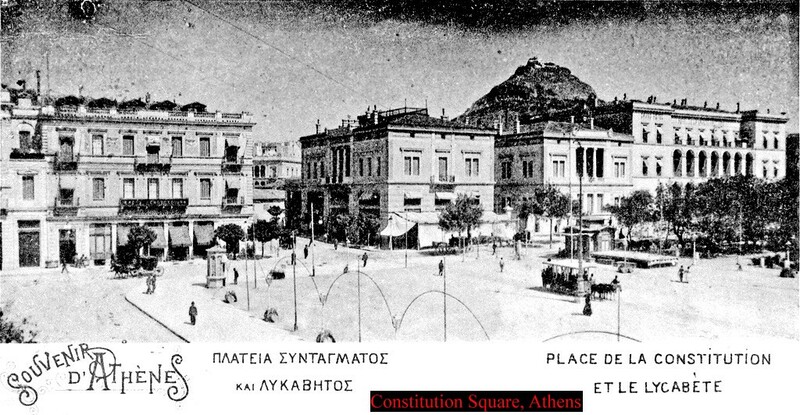 8, August 1890; Constitution Square, in the era of the Bents, and their base in Athens. Their hotel was located here (image: Martin Baldwin-Edwards); Sir William Mitchell Ramsay (1851–1939). Scottish archaeologist; by his death he had become the foremost authority of his day on the history of Asia Minor. It was Ramsay who prompted the Bents to seek for Olba in 1890, beating him to the site by a matter of months (Image: Wikipedia); David George Hogarth (1862–1927) British archaeologist, later Arab specialist, and Keeper of the Ashmolean Museum, Oxford from 1909 to 1927. Ten years Bent’s junior he was an unkind, waspish and harsh critic; Bent beat him to the discovery of Olba by a few months, and probably never forgave him – doubly galling as Hogarth had espied the site from a distance some time before but was forced to abandon his search (Image: Wikipedia); Charles Waldstein (later Sir Charles) (1856–1927), director of the American School until 1893 (Image: Wikipedia); Alexandros Rizos Rangavis (Rakgabis)(1809–1892), Greek man of letters, poet and statesman. (Image: Wikipedia); James David Bourchier (1850–1920). Irish journalist and political activist. He worked for ‘The Times’ as the newspaper’s Balkan correspondent (Image: Wikipedia). Fascinating account of professional rivalry and back-biting. I think Mabel was well equipped to handle it. Do we know what the Bents were doing in Volos? Very interesting stuff! We need more accounts of this sort, bringing back to life 19th century Athens. Martin….your contribution very much appreciated indeed, thank you. It’s great to have a photo of the hotel favoured by the Bents. Do by all means follow the Bents on Facebook if you would care to, and comment any time of course. If you would like to make a relevant post, do please contact us. Alas, I cannot bring myself to go anywhere near Facebook: I consider it to be the undoing of civilisation as we know it.